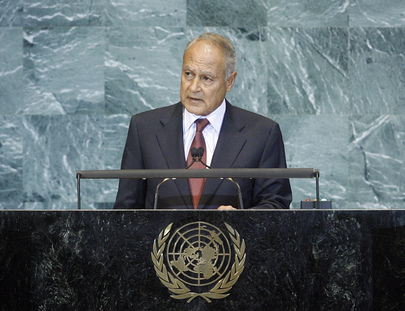 AHMED ABOUL GHEIT, Minister for Foreign Affairs of Egypt, said that, over the last 50 years, the Non-aligned Movement had contributed much to reinforcing international multilateral action, most notably, the ability of developing countries to contribute to international peace and security, development, human rights, and good governance on an international level. The United Nation’s should remain the main organ to maintain and promote global peace, he said, but the roster of the Security Council’s permanent membership was obsolete and its work lacked transparency and balance. The formation of other groups, such as the G-20, had begun to assume the lead role in managing the international community’s “hot files”, but that would not guarantee balance. “Marginalization is no longer acceptable,” he said, and stressed that countries in the South must also have a voice in international forums. Noting an increase in “appalling” incidents against symbols and icons of the Islamic faith, he said the West was being drawn into a clash with the Muslim world that would serve no one except extremists. In such a clash, “the winner is a loser and the victor is defeated”, and he called on Governments, as well as the forces of religious and cultural moderation, to propagate cultures of enlightenment and tolerance. Turning to the Arab-Israeli conflict, he said Israel’s failure to freeze the settlement construction in the Occupied Palestinian Territory would cause the current direct negotiations to collapse. Such a freeze would be a major factor in determining Israel’s intention and level of commitment. Egypt also supported direct negotiations on the Syrian and Lebanese tracks, in a way that would allow both countries to implement the Arab Peace Initiative and end the Arab Israeli conflict once and for all. Regarding Sudan, which was facing “the most difficult juncture since its independence”, he said that, in addition to the developments in Darfur, the referendum on self–determination for the south of Sudan was drawing closer. His Government was following that situation closely and with great interest and would continue its efforts towards preserving the unity of the country as long as it is the choice of the majority of its people. On other issues, he said Lebanon had been “witnessing surprising political development that overshadowed its civil peace and stability”. Egypt reaffirmed its support for the institutions of the Lebanese State, and supported the work of the Special Tribunal and looked forward to its findings. Indeed, uncovering the identity of the culprits of political assassinations could end this “ugly period in its history”. Egypt also looked forward to the end of the current stalemate in Iraq, and stands ready to provide support. Security of the Arab Gulf was a priority of Egypt’s foreign policy. He went on to affirm the urgent need to reach a political settlement regarding the Iran nuclear file, and called on Iran to refrain from any measures that could exacerbate the situation in the region. Securing the southern strait of the Red Sea was also of strategic interest. It continued to participate in efforts to combat piracy off the Somali coast, the Arabian Sea and the Indian Ocean, and continued its efforts to raise international interest in Somalia. In conclusion, he said Egypt would continue to work for the achievement of peace and stability in the world.